The view from Finca Valentina in Salta, Argentina. Photo courtesy of Finca Valentina. It's a once-in-a-lifetime trip, so make the most of it without breaking the bank. You spent all of your money on a big, fun, extravagant wedding and — it's totally going to be worth it! But now your honeymoon fund is dry. A romantic adventure in a Moroccan medina or a weekend in a palazzo overlooking Venice's Grand Canal seem like realistic options — about 50 years from now. But if your golden anniversary seems like a lifetime away, may we suggest another route: small, boutique, charming, and full of character. Here are five little hotel gems oozing with romance that charge less per night than your price per head. Photo courtesy of Cima Rosa. 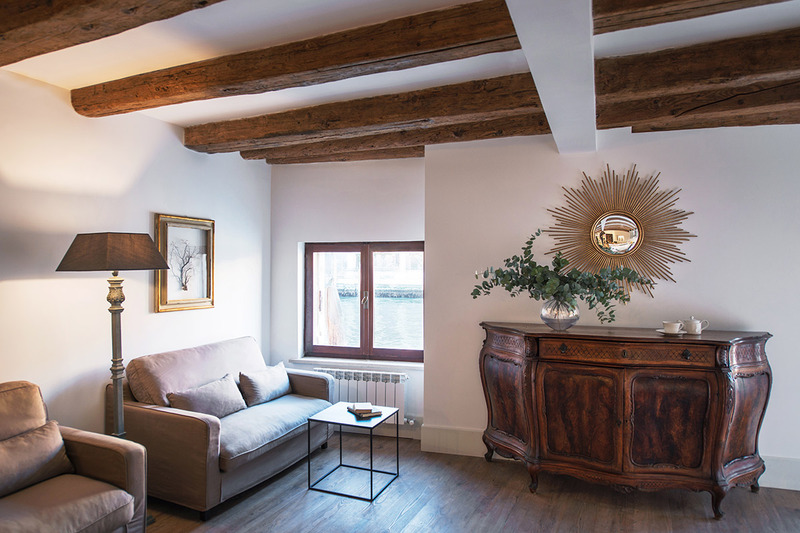 Atmosphere: Behind a quiet courtyard in the Santa Croce quarter, the restored 15th-century palazzo overlooks the Grand Canal. The owners — an interiors architect and his interior designer wife — have decorated the five-room hideaway in a tranquil palette of grays, blues, and creams. Old-world touches include parquet floors, antique furniture, and exposed beams. Perks: Ask for a copy of Eat The Venetian, a list detailing the couple's favorite local hangouts. 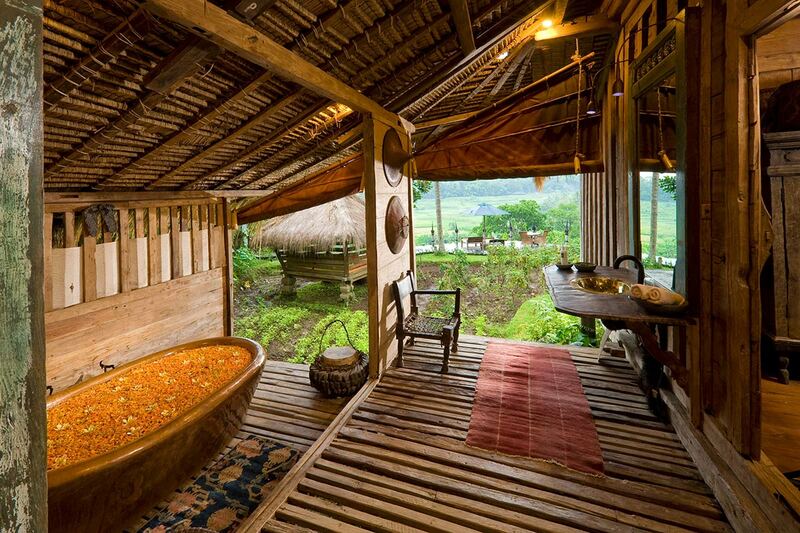 Check in: Rates from $190 per night. .
Photo courtsy of Bambu Indah. Atmosphere: Fourteen Javanese bridal homes overlook a patchwork of bright green rice paddy fields and the flowing Ayung River. Originally intended as a place to house visiting friends and families, owner John Hardy, a well-known jewelry designer who has called Bali home for more than twenty years, turned the small compound into a thriving eco-retreat with a natural swimming pool, organic garden, spa, and yoga studio. Perks: Catch the free shuttle into central Ubud to take in local sites like and . Check in: Rates from $125 per night. .
Photo courtesy of Hotel Can Mostatxins. 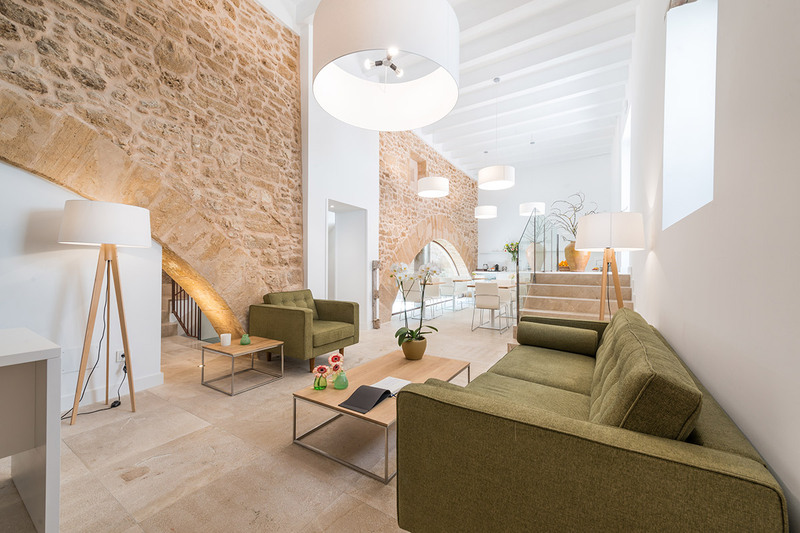 Atmosphere: The contemporary eight-bedroom hotel is housed in a stunning Mallorcan manor home that dates back to the late 15th-century. Original Gothic details, like mason-built stone, mingle with contemporary lighting design and sleek glass passageways. A basement spa contains a heated splash pool and offers spa treatments during the day. Perks: Head to the bi-weekly market in Old Town Alcudia for leather bags, sandals, and local olive oil. Check in: Rates from $150 per night. .
Photo courtesy of Riad 72. Atmosphere: A contemporary take on a traditional Moroccan riad in the heart of the colorful medina. 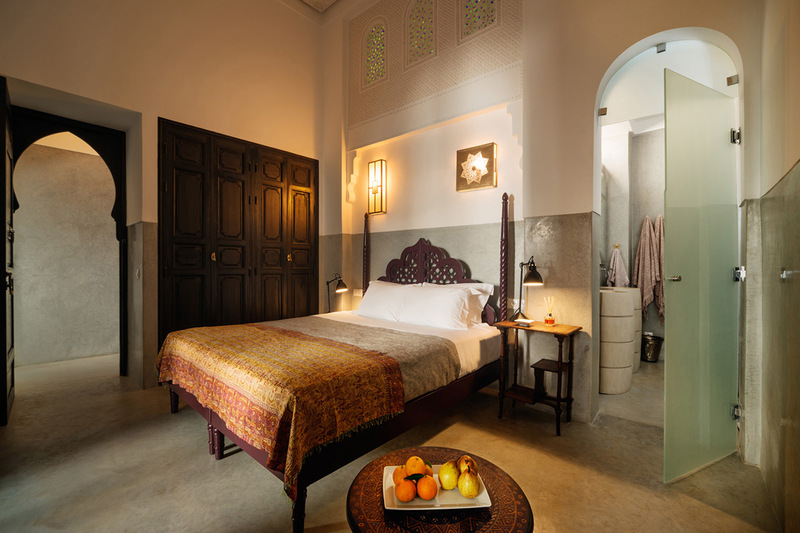 Recently renovated, the 100-year-old building has seven guest rooms, a quintessential Moroccan hammam, a small library, an outdoor restaurant, and an intimate cocktail lounge. Perks: The hotel terrace is the highest in the medina. Take in views of the old city, the Koutoubia tower, and the Atlas Mountains while enjoying a lazy breakfast or a sunset cocktail. 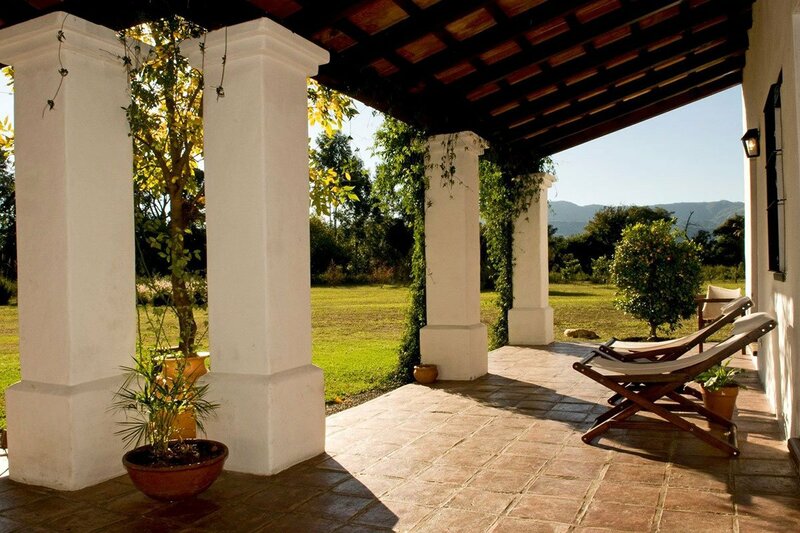 Check in: Rates from $145 per night. .
Photo courtesy of Finca Valentina. 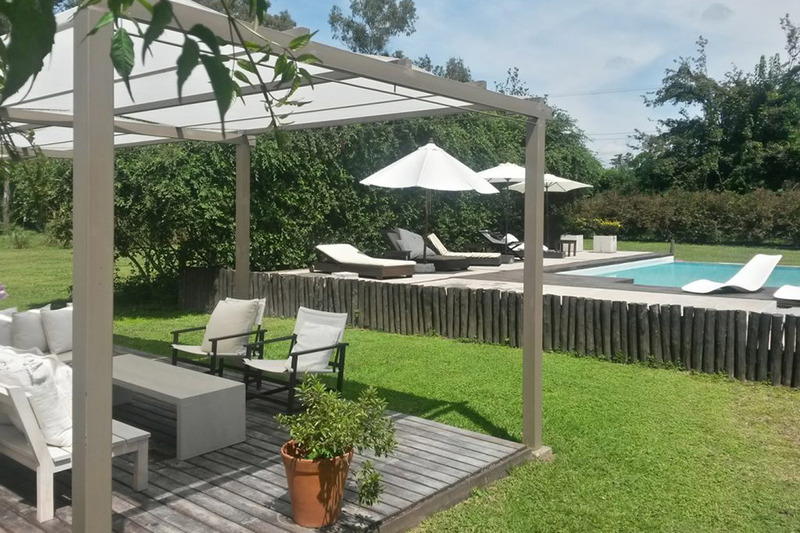 Atmosphere: Set against the beautiful landscape of northern Argentina and the mighty Andes, the charming eight-bedroom country house is run by an Italian couple from Milan. Rustic-but-refined guest rooms come with all the trappings of a luxury hotel — heated flooring, private patios, and luxury linens. Traditional cooking classes, massages, horseback riding, and a gorgeous swimming pool keep guests busy. Perks: , an adventure travel company run by the owners, specializes in planning trips through the deserts of Salta, Catamarca, and Atacama in Chile. Check in: Rates from $115 per night. .